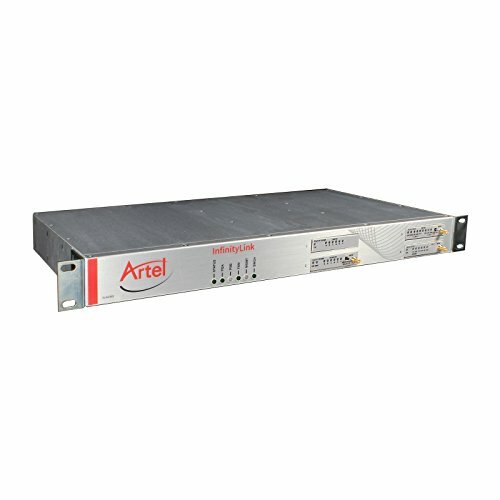 >InfinityLink provides broadcast-quality transport of video, audio, and data across IP- and fiber-based networks and optical backbones in an integrated modular solution leveraging Artel's 30 years of media transport experience. >Designed specifically to meet the unique requirements of broadcast video transport, InfinityLink features a 4-slot, 1-RU chassis; multi-purpose, single-piece function modules with front panel accessible status LEDs and video monitor ports; and external optics in all standard wavelengths for each module. InfinityLink is one of the most flexible and dependable video transport platforms. >The IL6000 chassis features an advanced design combining modular-based transport functionalities with internal routing capabilities for video and Ethernet traffic. By eliminating external cross connects while staying in native video or Ethernet format, the IL6000 streamlines routing and rerouting of video and Ethernet traffic, reducing operational expenses, and providing an ideal solution for remote sites where immediate and timely reconfiguration is required via EMS or NMS. >It's simplicity of design, flexibility, and ease-of-use make InfinityLink an ideal solution for use by broadcasters, networks, studios, and other organizations for their critical contribution feeds of major sporting, news, and live events, and other applications where advanced switching and management are a requirement and cost and space a concern. If you have any questions about this product by Artel, contact us by completing and submitting the form below. If you are looking for a specif part number, please include it with your message.